Fingernail friends are tiny colourful characters to decorate children’s nails. These nail stickers and cuticle tattoos can be applied to little nails and fingers for an instant fairytale makeover. 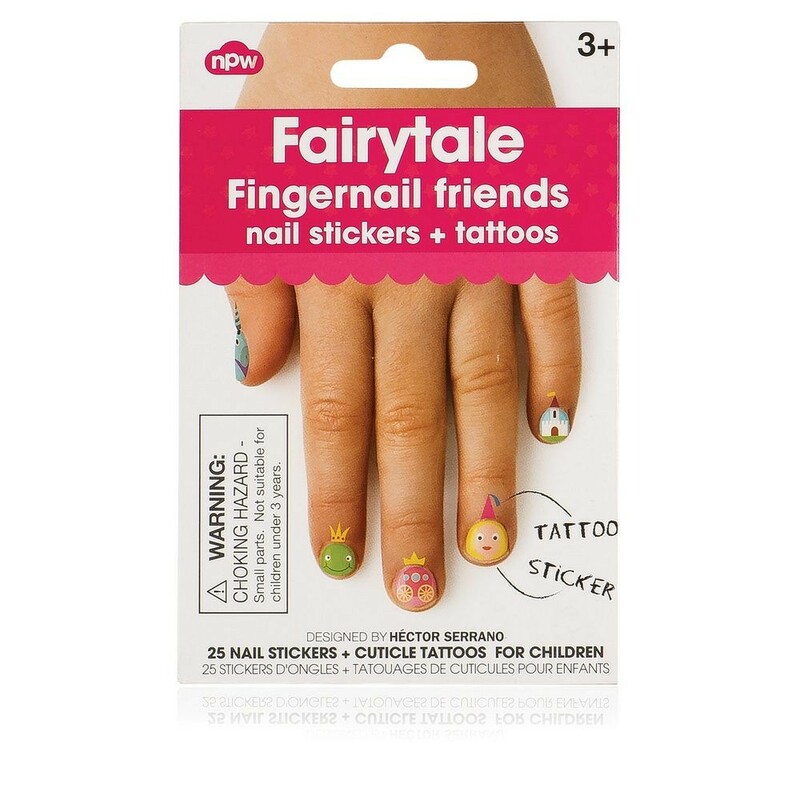 Pack contains 25 nail stickers and tattoos featuring fairytale characters and castles.